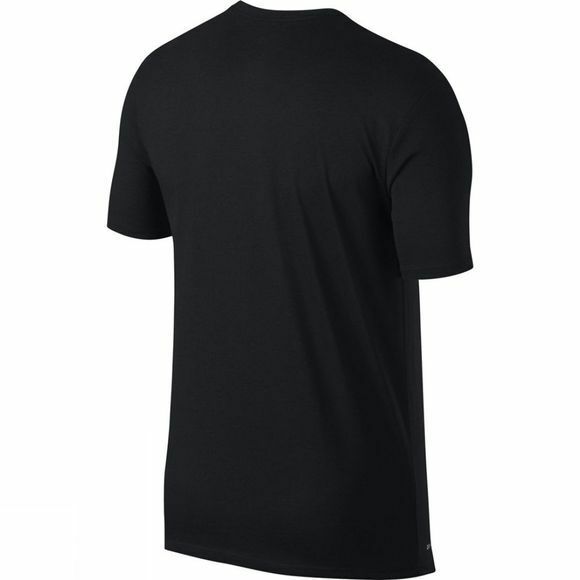 Designed to minimize distractions with sweat-wicking fabric, the Men's Nike Dry Running T-Shirt delivers a street-smart look and total comfort over any distance. Regular fit with set-in sleeves offers comfortable coverage. 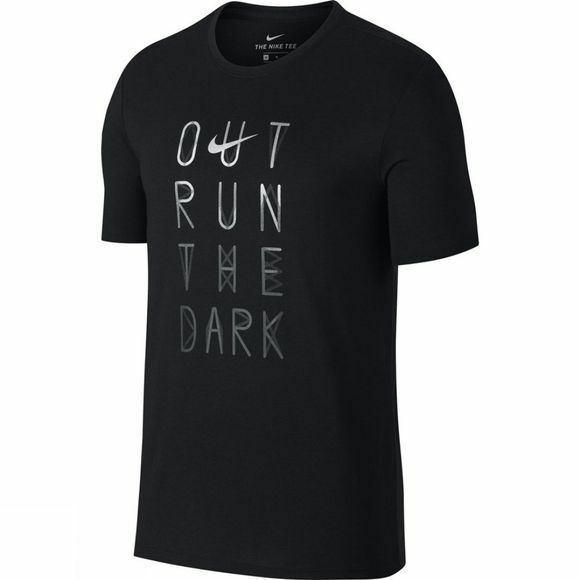 Reflective verbiage printed across the front helps enhance visibility in low-light conditions.